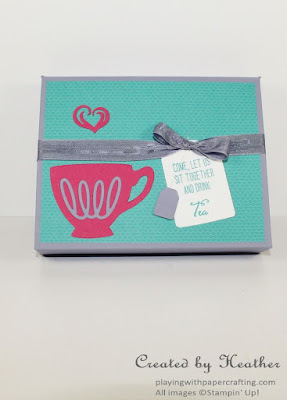 I'm not a big tea drinker, but I find myself charmed by the notion of it and so I just love my A Nice Cuppa bundle from the Occasions catalogue! 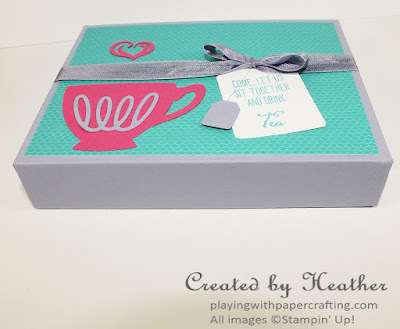 I've been trying to come up with a suite of products for my free newsletter tutorial, and I decided that this bundle would be the theme. After cleaning up from the weekend visit by two of our three daughters and their families, which included four children four and under, I found myself a titch low on energy. 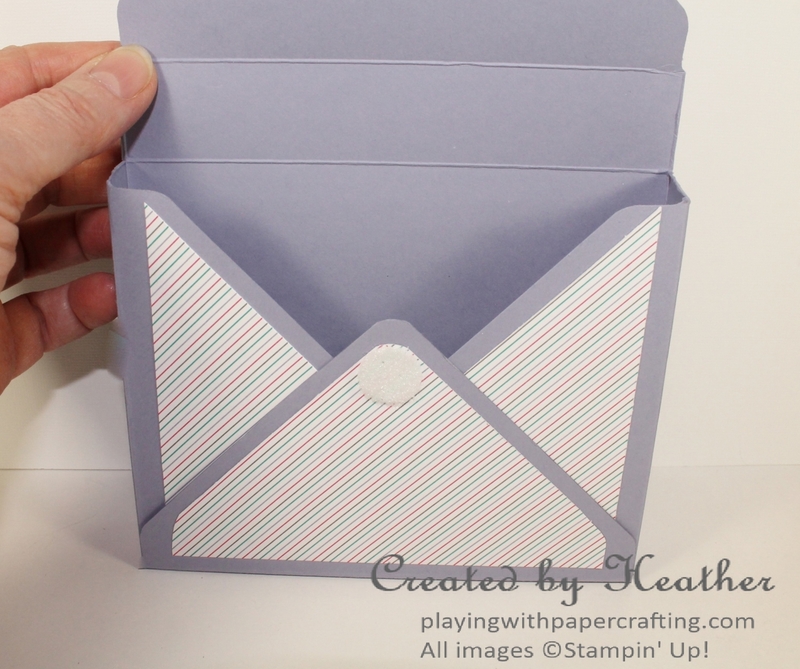 I was hoping to be able to complete the whole suite by blog time, but photographing each step took a bit longer and I completed only the card holder. Tomorrow, I will showcase the cards to go with it so stick with me til then. This holder is made using an easy technique with the Envelope Punch Board, which I will share with my newsletter subscribers. It is large enough to hold approximately 8 standard sized greeting cards. If you'd like to sign up to receive my newsletter, just add your email to the spot below and click on Go. 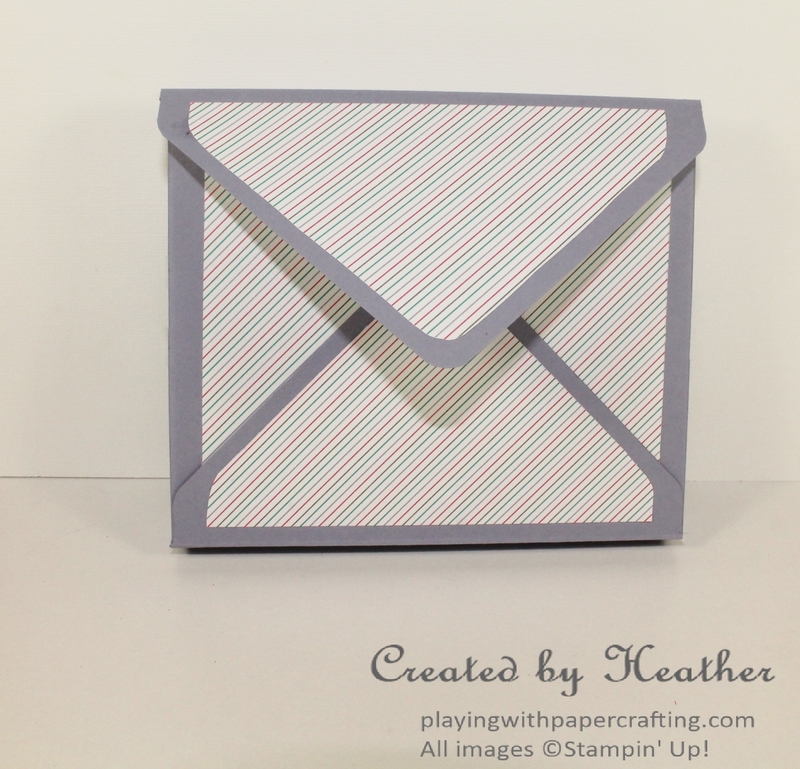 You'll receive a detailed, step-by-step photo tutorial which includes supplies and measurements with this month's newsletter. 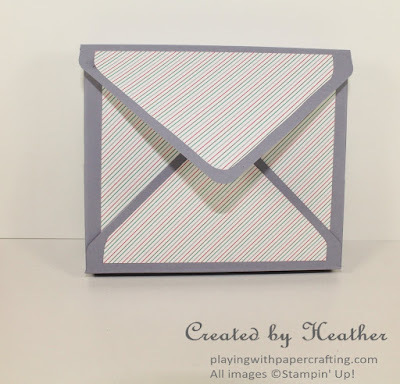 You will be able to unsubscribe at any time you choose and I usually send only one email a month, unless there is a big sale or announcement from Stampin' Up! that I feel my customers would want to know about.